The Navy Band Sea Chanters is the United States Navy’s official chorus. The ensemble performs a variety of music ranging from traditional choral music, including sea chanteys and patriotic fare, to opera, Broadway, and contemporary music. Under the leadership of Chief Musician Adam Tyler, the Sea Chanters perform for the public throughout the United States. At home in Washington, they perform for the president, vice president and numerous congressional, military and foreign dignitaries. In 1956, Lt. Harold Fultz, then the band’s assistant leader, organized a group from the Navy School of Music to sing chanteys and patriotic songs for the State of the Nation dinner. An immediate success, Adm. Arleigh Burke, then chief of naval operations, transferred them to the Navy Band, named them the Sea Chanters and tasked this all-male chorus with perpetuating the songs of the sea. In 1980, the group added women to their ranks and expanded their repertoire to include everything from Brahms to Broadway. They have appeared at the Kennedy Center Honors and with the National Symphony Orchestra for the nationally telecast “National Memorial Day Concerts” at the U.S. Capitol. In addition the group has appeared on “Larry King Live” and “CBS This Morning” as well as at the premier of the movie “Pearl Harbor.” In 2008, the Sea Chanters performed with the Mormon Tabernacle Choir under the direction of Mack Wilburg. Noted choral directors Dale Warland, and Donald Neuen have guest conducted the ensemble, and renowned composers Michael McCarthy, Roger Bourland, William MacDuff and Lloyd Pfautsch have written works especially for them. Other notable orchestral appearances include the Kansas City Symphony, the Boston Pops Esplanade Orchestra, the Baltimore Symphony and the Cincinnati Pops Orchestra. The Sea Chanters have enjoyed a great reputation performing with such stars as Perry Como, Marian Anderson, Kenny Rogers and Lionel Richie. 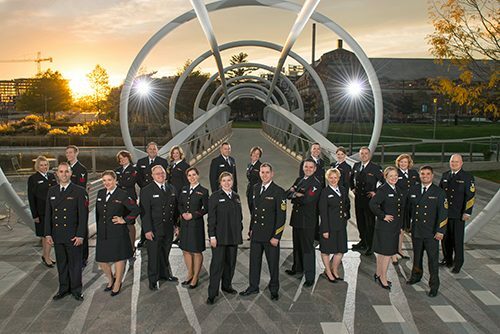 Throughout their history, the Sea Chanters have remained true to the Navy’s watchwords of pride and professionalism, and they continue to flourish as a vibrant ensemble.